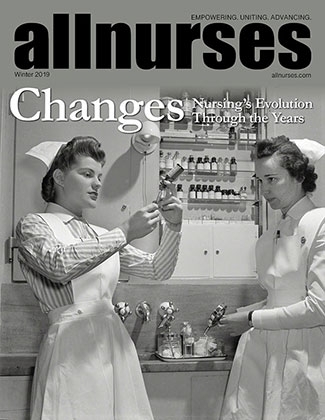 This article discusses the essential role nurses play in health care, and the implementation of safer staffing ratios to promote better outcomes for nurses and patients. Nurses are often put in impossible situations pushed to care for more patients than is safe. It is fair to say everyone deserves the best care possible. In order to ensure this, safe staffing for nurses and patients should be established. Just think of it, you are a registered nurse tending to a patient with a heart rate sustained above 160 when your other patients’ blood pressure suddenly becomes dangerously low. Soon after, another patients’ arterial line malfunctions making blood pressure readings inaccurate. No, this is not an exam question on prioritization; this is the less detailed version of an understaffed stressful 12-hour shift I had in the intensive care unit. These types of situations can lead to health risks for both patients and nurses. In addition, these situations can drive nurses from their profession. Safe staffing ratios cultivate a healthcare environment that increases optimal health outcomes, nurse retention, improves quality of care and lowers healthcare costs. Hospitals are supposed to be safe institutions to treat and care for patients. Unfortunately, staffing shortages in hospitals nationwide compromise the safety of patients. According to the Department for Professional Employees (2013), correlations in several studies between inadequate nursing staff and poor patient outcomes are found to be associated with an increase in medical errors, patient infections, bedsores, pneumonia, Methicillin-resistant Staphylococcus aureus, cardiac arrest, and accidental death. Most bedside registered nurses have experienced the result of this study first hand trying to keep patients safe while understaffed. Turning and repositioning are not performed every two hours as recommended to prevent bedsores. Blood work may not be drawn on time. Oral care, for ventilator-associated pneumonia prevention is often skipped. Clave changes on central lines may not get done to prevent central line-associated bloodstream infections. These preventative measures are often not performed because the bedside nurse is understaffed and has to prioritize care for the unstable situation at hand. Inadequate staffing and working long hours don’t just affect the health of the patient, but the health of the nurse. The Department for Professional Employees (2013) lists associated risks with inadequate nurse levels to musculoskeletal disorders, commonly back, neck and shoulder injuries. Workplace related injuries are costly to hospitals. The study also found other health risks to nurses including hypertension, cardiovascular disease, and depression. Being understaffed and overworked can easily lead to these issues. As nurses we are frequently placed in unsafe and stressful working conditions and if recurrent, can lead to burnout. The cost of hiring more nurses to staff adequately should not be a concern for hospitals. Hospital institutions must consider the fact that nurse turnover rates are just as costly. Abraham (2018) gives details on burnout-related turnover rates among nurses already costing hospitals in the United States an estimated $9 billion per year. It must be considered that once a large amount of staff is lost, hospitals are willing to pay travel nurses a large sum of money to replace the lost staff. Adequate nurse staffing would improve nurse retention rates and help prevent the ill effects of nurse burnout and turnover. Mandating staffing ratios provides better outcomes for patients, nurses, and hospitals. Currently, some states have laws that address safe staffing. The Department for Professional Employees (2013) lists Connecticut, Illinois, Nevada, Ohio, Oregon, Texas, and Washington as states that require hospitals to have committees responsible for staffing policy, and the states of Illinois, New Jersey, New York, Rhode Island, and Vermont to require hospitals to publicly report staffing ratios, but California is the only state to implement a ratio mandate. Studies show that after legislators enacted California safe staffing ratios, patient mortality events within thirty days of hospital admission decreased notably, and nurse-patient interaction improved significantly (Department for Professional Employees, 2013). Another study showed that California nurses experienced less burnout compared to nurses in states without minimum staffing ratios such as New Jersey and Pennsylvania (Department for Professional Employees, 2013). Additionally, for each nurse added to the staffing pool, patients spent 24 percent less time in intensive care units and 31 percent less time in surgical units (Department for Professional Employees, 2013). The safe staffing ratio law improved patient care, patient outcome, and nurse retention. As nurses, we play an essential role in health care. We can help improve health care in America simply by supporting important issues as nurses. Carlson (2017) provides a list of actions a nurse might consider taking to ensure we are heard, to allow for improvement. 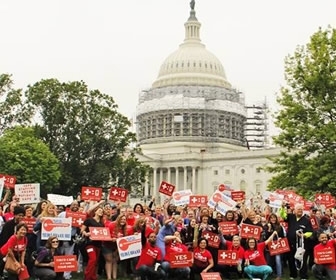 Attend training and days of action related to lobbying your legislators and meet with legislators as well in regards to issues of importance to nurses and patients. Discussing ratios and nurse staffing with others for support, document situations that show the challenges faced by nurses providing patient care to discuss observations and concerns with those who can help make a change (Carlson, 2017). The issue of safe staffing levels has been around for years and we must continue to support safer staffing levels. Nurses and patients deserve a healthcare environment that increases optimal health outcomes, nurse retention, and improves quality of care. Therefore, we must stay informed and get involved. As a nurse in CA, with mandated nurse-patient ratios, I support safe staffing through ratios. I'm always surprised when nurses themselves do not support nurse-patient ratios. It seems as long as we are divided, we have an uphill battle. My concern (and I live in IL where this legislation is a hot topic) is the way the "suits in the ivory tower" skew acuity to "prove" that nurse/pt ratios are in place when in fact, its the "paper pushers" that decide how many pts a nurse can safely care for. For instance, I was hospitalized for major surgery and during the 36 hours I was there, I had my vitals checked multiple times the first hour but then never again. No one assessed the surgical site EVER. I put on my call light when I was in pain but since no one EVER came, I walked out to the nurses station and then had to wait for 30 minutes standing there to find any staff member. When I did I was admonished that I wasn't supposed to be out of bed! Since I'm on staff at the hospital, they "confidentially" told me that the unit was actually being used for "overflow" and since there were only two pts on the floor (me and from what I gathered a demented pt), that the nurses were answering call lights from another unit which was located in a geographically separated unit.. I signed myself out AMA at that point. So much for nurse/pt ratios. Though nurse/pt ratios is a START its not the answer to providing adequate pt care. @traumaRUsWow, that is terrible care. You might as well have been home. I'm confused- because you don't have mandated ratios in Illinois...? Since I'm on staff at the hospital, they "confidentially" told me that the unit was actually being used for "overflow" and since there were only two pts on the floor (me and from what I gathered a demented pt), that the nurses were answering call lights from another unit which was located in a geographically separated unit.. I signed myself out AMA at that point. I wish i had a magic wand to make this happen. Im heading to my 30s now and i dont see the healthcare system looking better. Safe staffing ratios may not solve everything, but we can't work safe when we're spread too thin. Every time I mention the ratios mandated in CA, FL managers retort (and travelers concur), "Yes, but they just cut all their ancillary support staff to make up the difference." RNs are staffed at 4:1 in our ER after the minor care patients are pulled from the mix. I'm curious how this looks to CA RNs? ED in CA is 1:4. I don't work ED, but on our 4e bed Tele, we have 2 secretaries on day shift, 2 dedicated monitor techs, 2 charge nurses, a lift team, a clinical pharmacist and 3-4 CNAs. How does the lift team work exactly? Is your charge free-float or do they take a team? Does the ratio formula include the charge nurse or other management who don't take patients? Or does the ratio mandate an actual patient care ratio?